Create, track, and manage sales proposals efficiently, all in one place. Increase sales and team productivity. Know immediately when a client views your proposal, track their activity and see what they are looking at. Using this data you can construct targeted quotes that will help turn leads into closing sales. Enable eSignature for your proposals. Send quotes in both web and PDF formats. 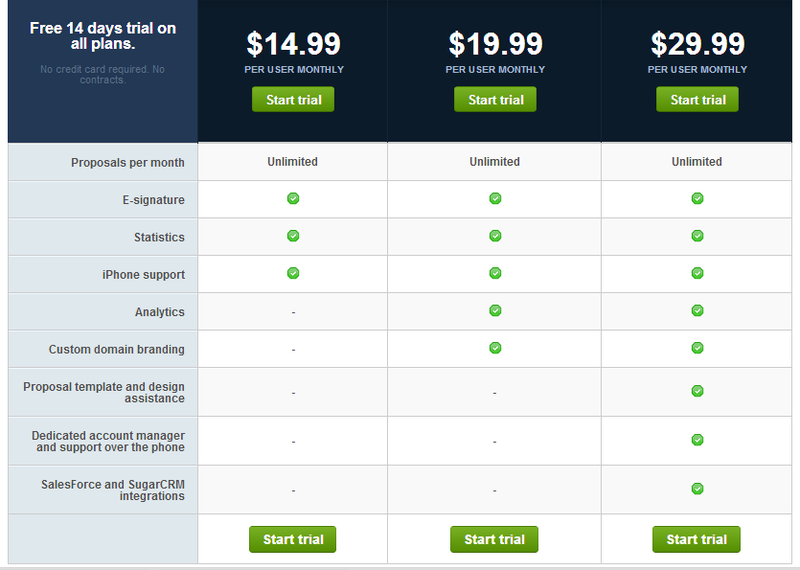 Get clients to sign and accept sales proposals directly from their web browser. Use our community driven library of proposal templates, customize them to fit your business needs. Create unique and beautiful proposals using a variety of themes and styles. Present your business professionally.